Through her unusual approach, Barbara Wildenboer creates art that’s often complex and intriguing. 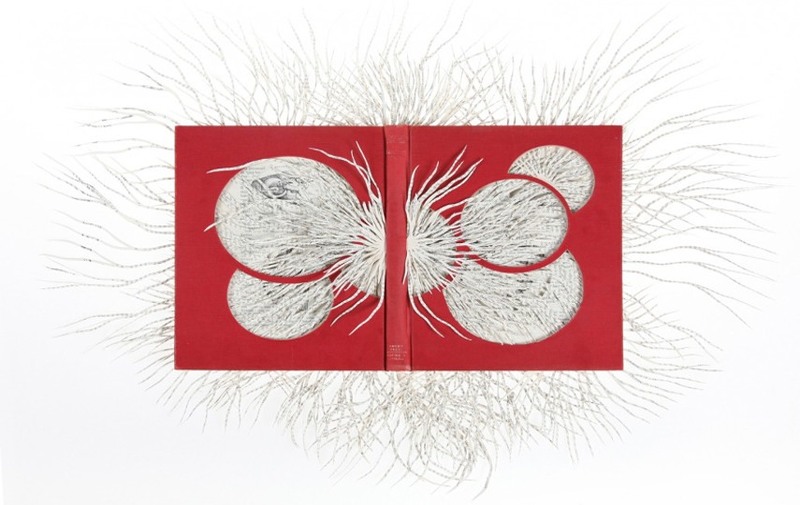 When she started as an artist, she was focused on combining media with photography, but as of recently she has shifted to creating sculptures out of old books. With this original concept, Wildenboer’s work shows us a completely new approach to sculpturing using many different techniques. In items which would look old and boring to one person, Wildenboer finds a new opportunity to make people aware of problems such as environmental issues and endangerment of plants, animals and life in general. 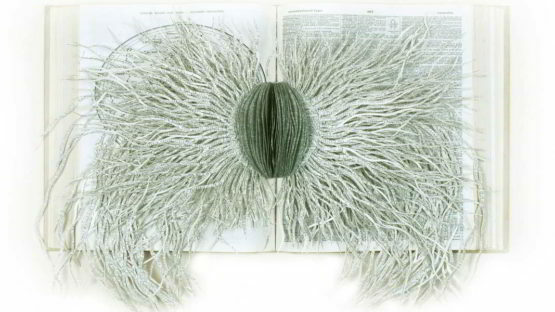 By turning books into sculptures, Wildenboer gives these old books new artistic meaning. From being a work of literature, books become a sculpture. They are still perceived visually of course, but the way they are perceived has changed. These books may not be read anymore, but now they are being examined and watched – just like a sculpture. She cuts them apart, almost destroys them, and then she brings them back again in a new form. It could be described as an artistic reincarnation. One form dies, so that another one can be born. There are two aspects that give the viewer an insight into the previous function of the book. The first is the book title printed on the hard cover and the second one are the pages ripped into nerve-like shapes which present the core of the book that doesn’t exist anymore – the text. As opposite to the low-detail artworks, Barbara’s Rythmical Arrangement of Vortices is a different story. The details are strong and numerous, but at the same time the simplicity is kept. The clock mechanism is shown through various smaller pieces, which together form a single art piece. Every part is similar in its round shape, but each one can be presented as an art-piece for itself without losing the point. In other works (Sublimation), she uses wood and hand-blown glass to create unique and simple tear sculptures. Both pieces are similar in the way they are created from a number of smaller pieces, but the difference is not in the way they are presented, but how they are constructed. 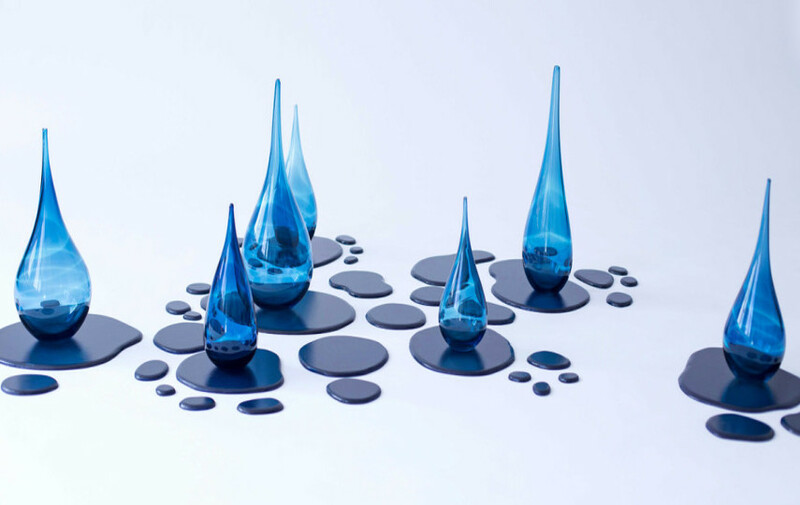 Through the hand- blown glass technique tears create a simple, yet deep impression. On the other hand, through paper sculpturing, the round paper sculptures are more complex and they leaves a highly organized and functional impression. Exactly like a clock mechanism. 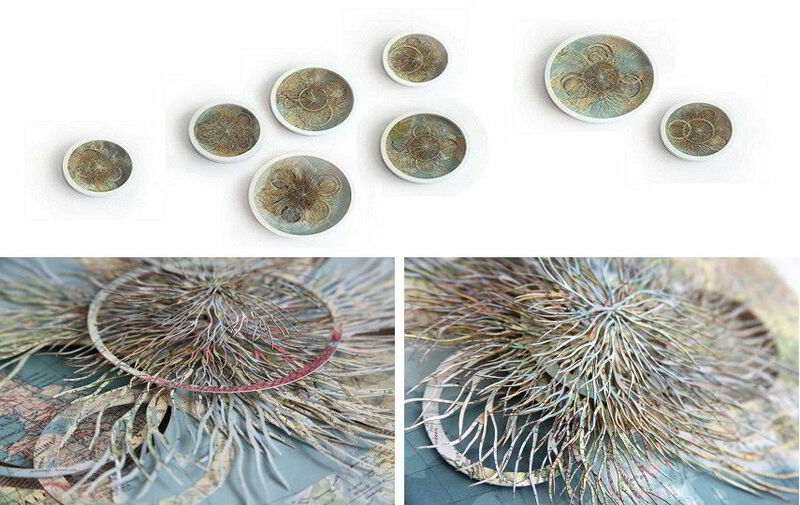 The round paper sculptures are complex and they leave a highly organized and functional impression. Barbara Wildenboer’s art is simple yet complex. Because of that, many viewers might be puzzled when they lay their eyes on her work for the first time. The confusion will most likely be followed by an intrigue. That is why the art-piece titles play a vital role in bringing Barbara’s work to life. Similar to the book titles, they give people a small, but vital insight into understanding the book – an insight with which the viewers are free to do as they please. She is represented by The Cat Street Gallery in Hong Kong. Barbara Wildenboer lives and works in Pretoria, South Africa.